This is the Mexico Yachil brought to you by Higher Grounds Coffee. 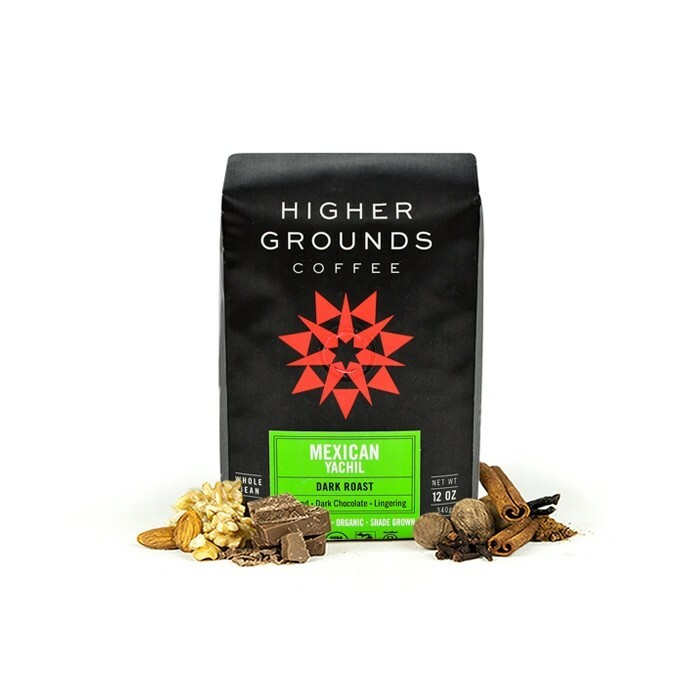 This Fair Trade and Organic certified coffee was grown by the 777 Mayan small holder producers in the Chiapas region of Mexico between 1,000 - 1,300 meters above sea level. This is a well developed medium roast that we thing tastes like dark chocolate and almond with a rich, lingering finish. I didn't think I would like this coffee. It is listed as a dark roast, and I usually prefer coffees from Africa or South America rather than Mexico. But this was wonderful. Thanks! Too Dark. Not a fan of Nutty notes in my coffee. Really enjoyed the body of this one. Pleasant, well-rounded, and rich flavour with some nice dark notes. Loved the lighter roast and creamy mouthfeel. Too dark for my tastes. Otherwise, it has a very pleasing aroma.